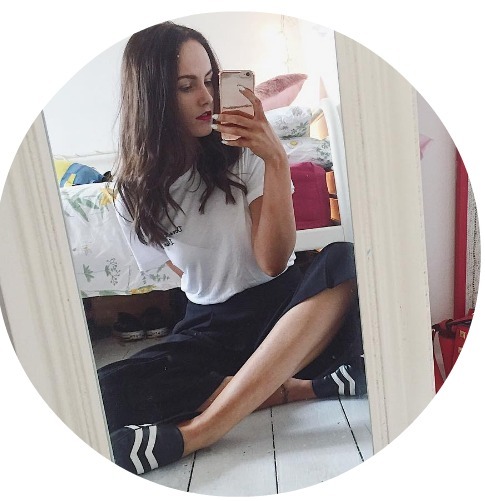 You have got to love these instagram mirror selfie shots. Did any of you even notice the subtle rise in outfit posts? My camera is still being fixed so beauty posts will resume once I get it back. But on to the outfit!! Look at those tights! I picked them up in Penneys/Primark at the start of the week. My firend and I had spotted them on the Primark instagram account last week and I was so excited to see them in my local. They were only 3.50€ which isn't too bad at all so I picked both of us up a pair. Trust me, my friend diiiieeeeed. I paired mine with this quilted style top and a high waisted, zip detailed skirt which was 11€ and they were both from Penneys/Primark. The skirt is a little big so doesn't clinch in properly so I'm going to have to get inventive with some safety pins. Penneys/Primark sizing has gone to hell over the last year and I really wish they would sort it out. Especially if they continue to slowly rise the prices. The game is up Primark - we've noticed.